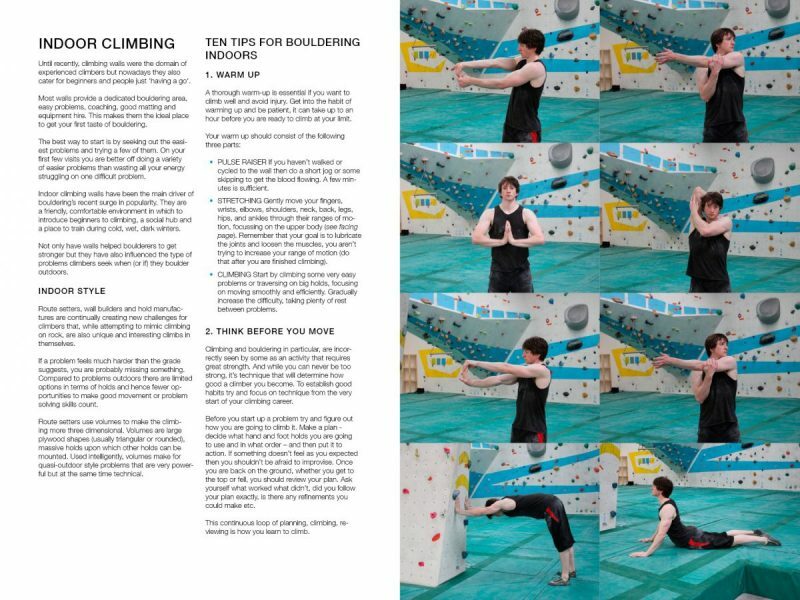 Has done a bit of bouldering indoors at the wall and is keen to start bouldering outdoors on real rock. 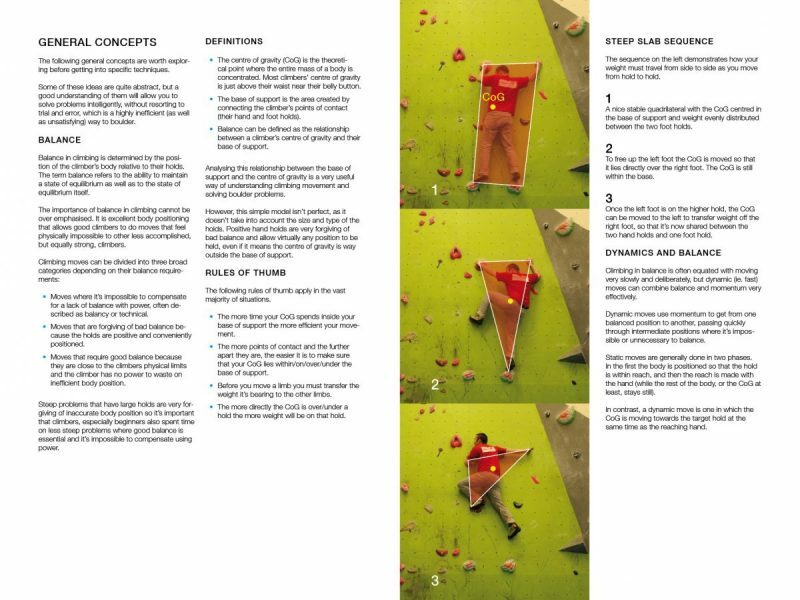 Wants to develop a better understanding of movement and strategy. 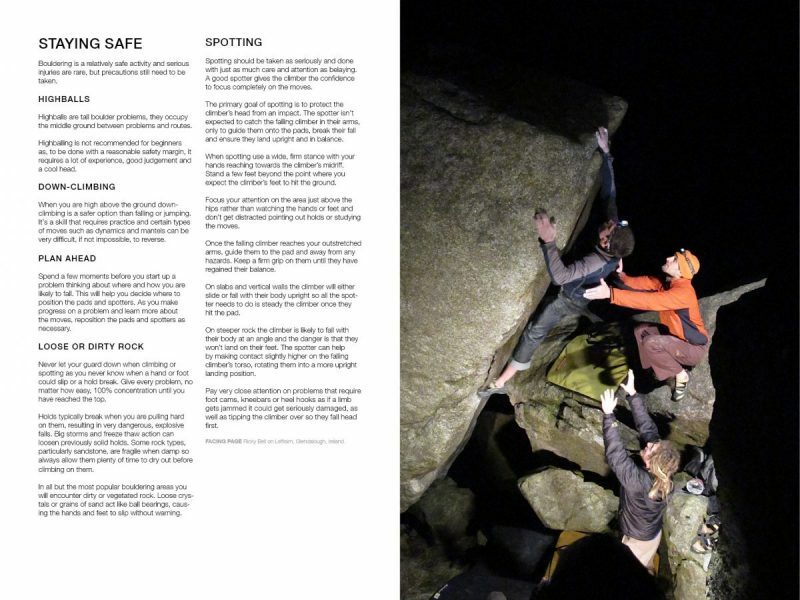 Staying Safe – spotting, falling and padding. 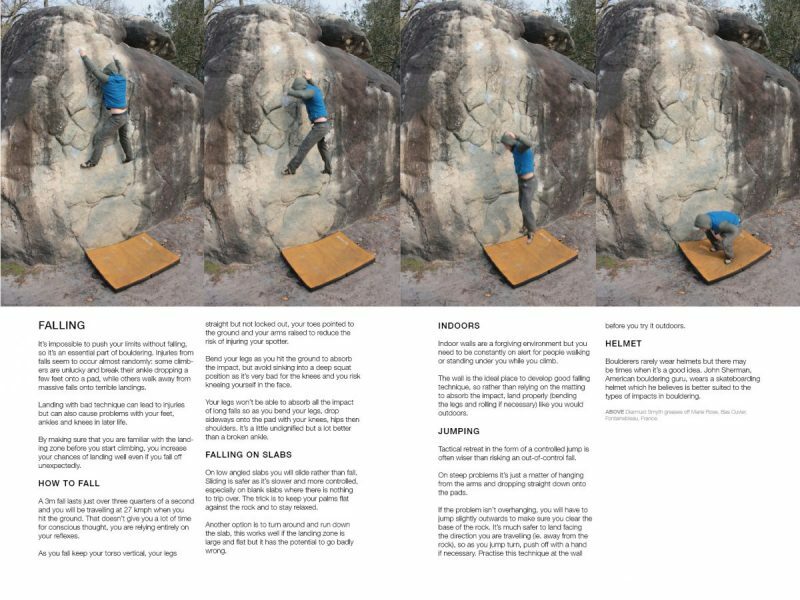 Movement – the basics of technique, general concepts, footwork. 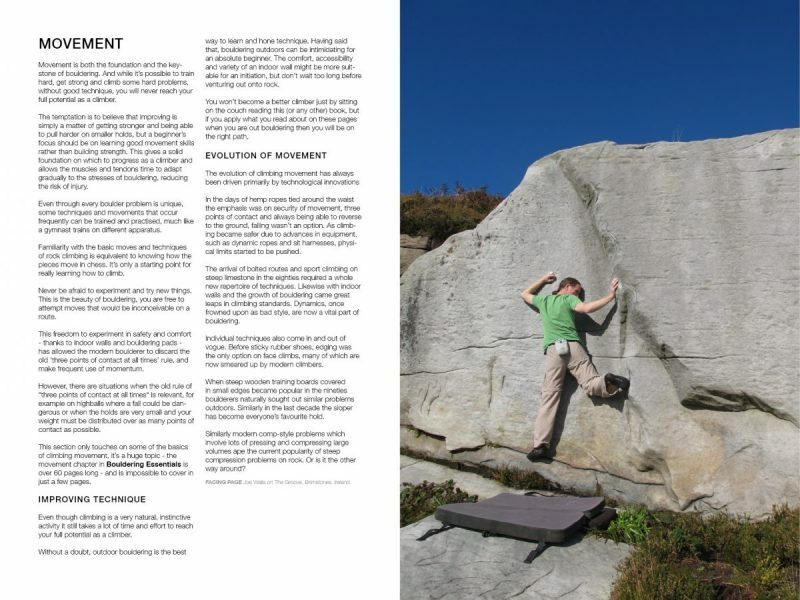 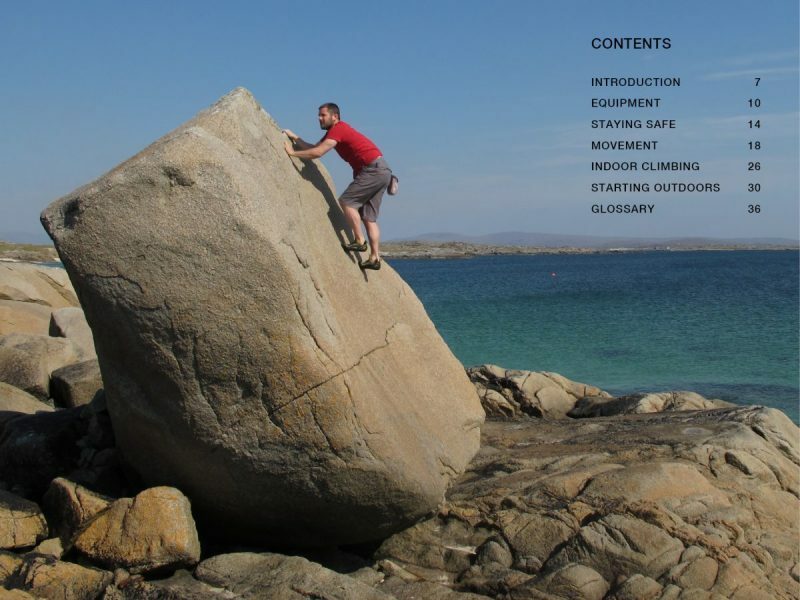 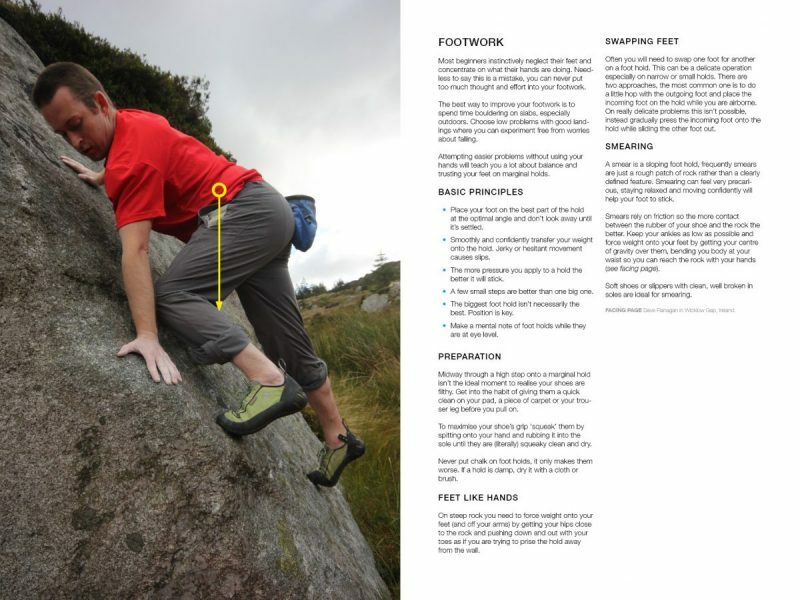 This ebook’s contents are abbreviated and excerpted from the print book Bouldering Essentials which runs to 192 pages and is packed with lots more information on the topics addressed in this ebook as well as many other slightly more advanced topics such as movement, dynamics, strategy, training and destinations. 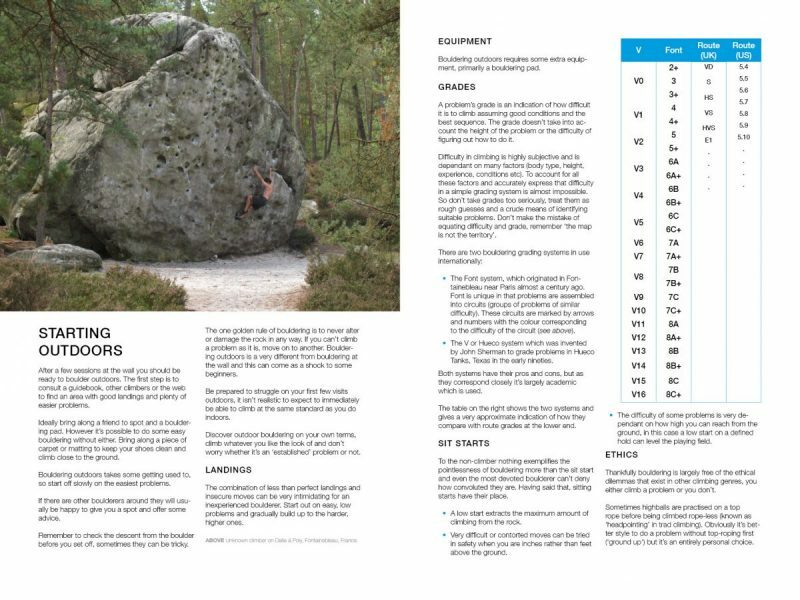 The print book also contains over 200 stunning photos from the best bouldering areas in the world including Bishop, Castle Hill, Fontainebleau, Hueco Tanks and Rocklands. 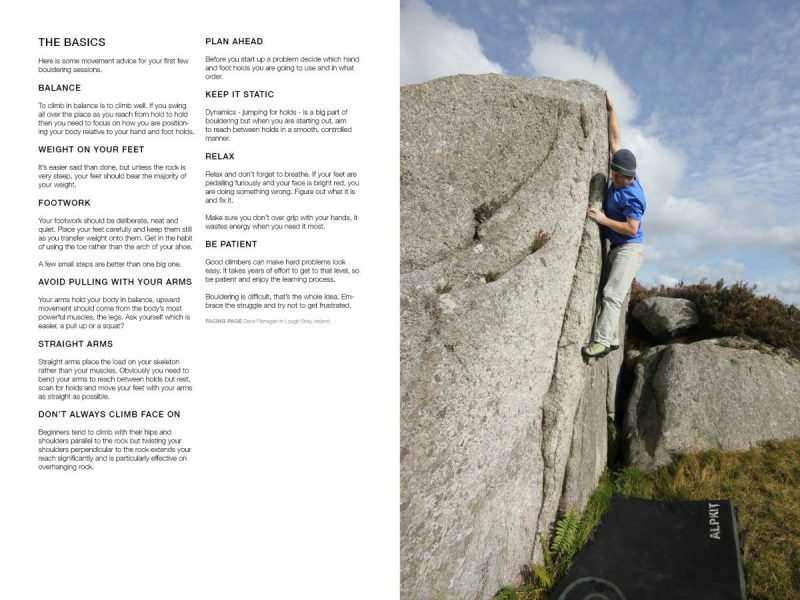 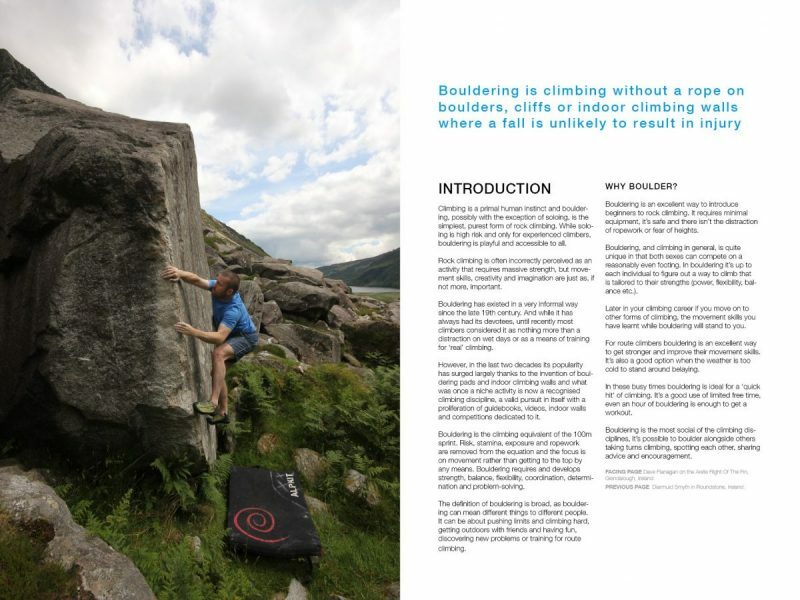 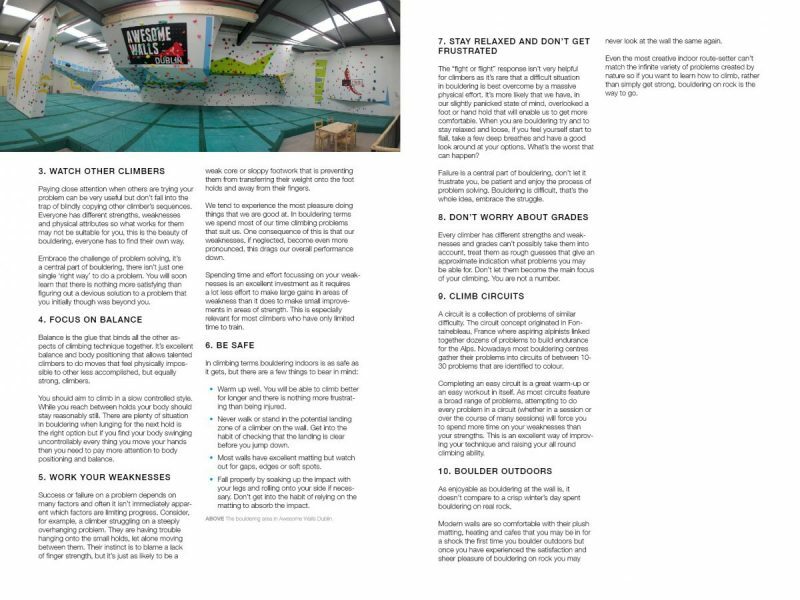 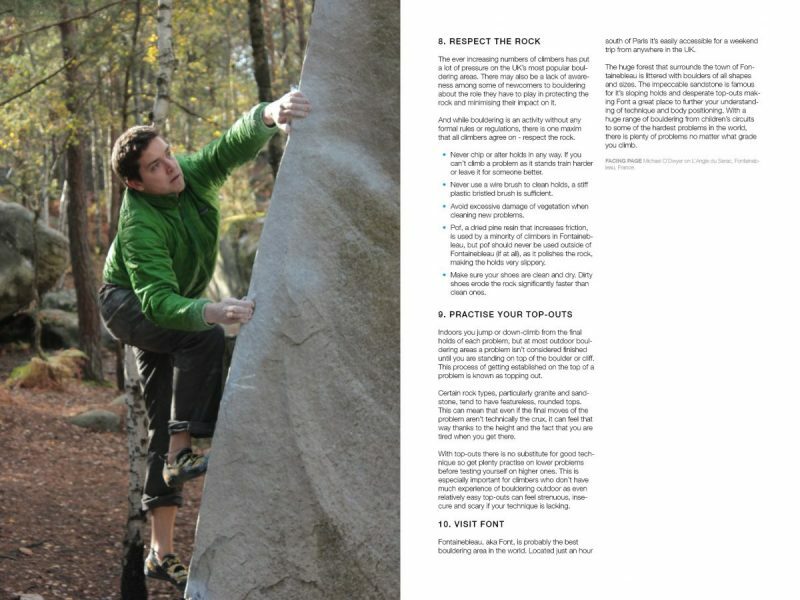 Bouldering Essentials provides the inspiration and information you need to reach your full potential as a boulderer. 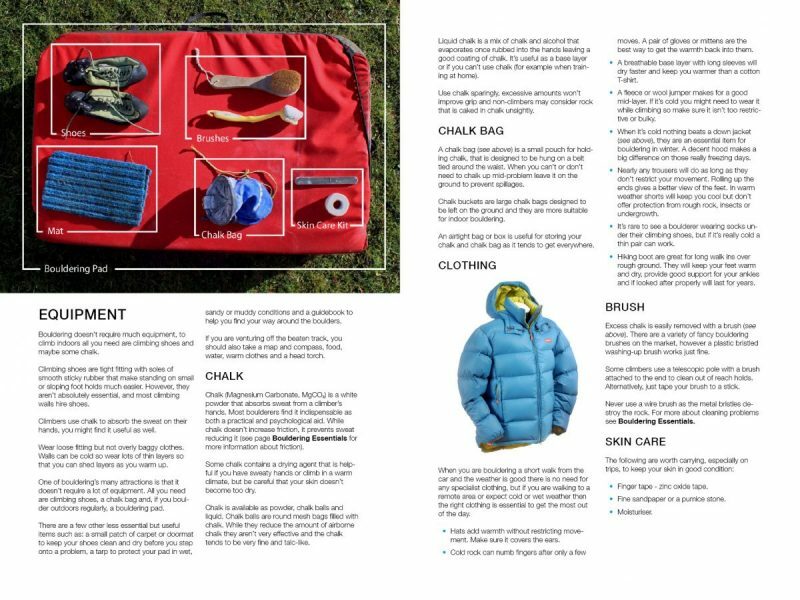 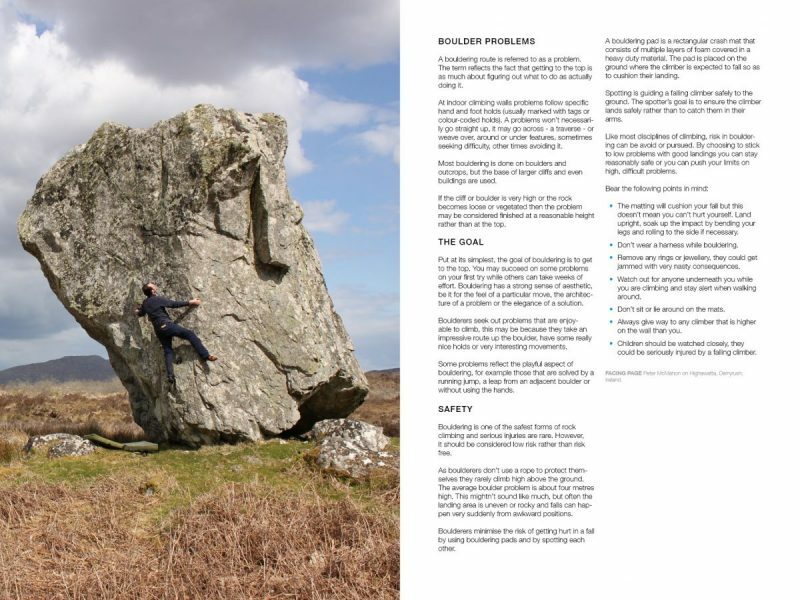 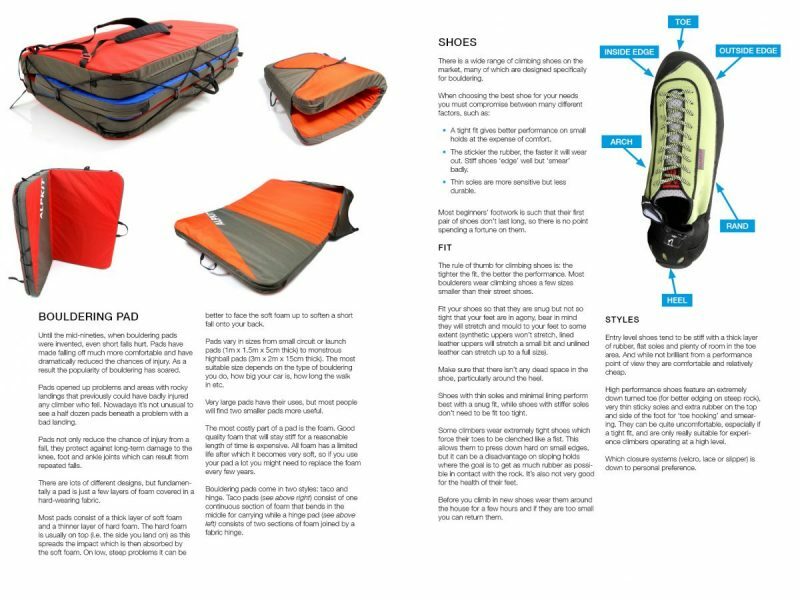 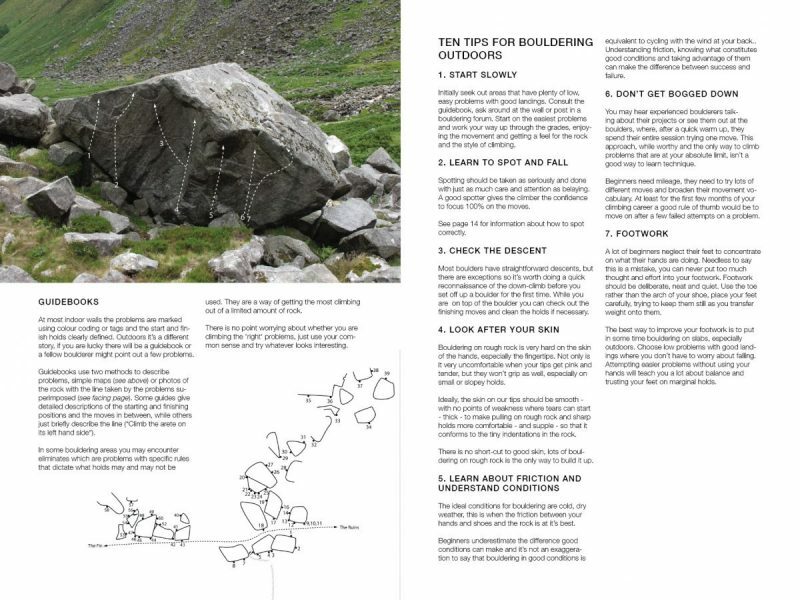 So if you like the ebook you might consider buying Bouldering Essentials which contains loads more useful information about Bouldering.